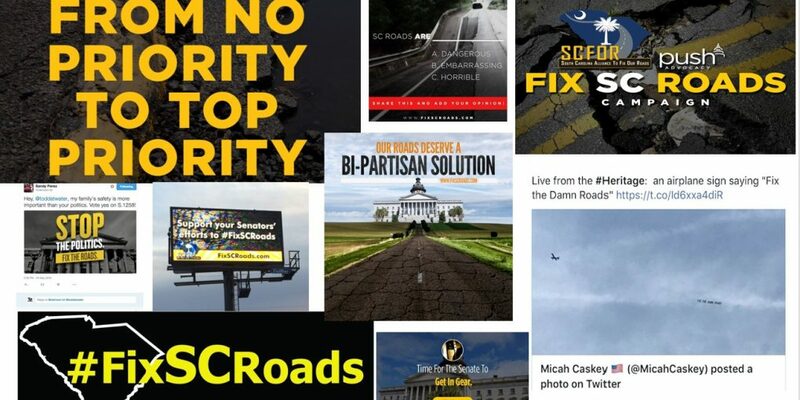 The “Fix SC Roads” campaign represents SCFOR’s commitment to protecting and promoting our state’s economic growth and our citizens’ safety. Our organization took up the banner of everyday South Carolinians who were sick and tired of the traffic, the danger, and the embarrassment that comes with crumbling roadways. Ultimately, South Carolina lawmakers listened to their constituents. In a bipartisan effort, the SC Legislature passed legislation to provide additional resources to be used solely on improvements to existing roads and bridges. We commend the legislature for acting in the best interest of our state and providing resources to begin the process of improving our roads and bridges. While 2017 was arguably one of the most successful years for our organization, our job is far from over. It is now more important than ever to protect the progress we have made and ensure we continue to fund our infrastructure to compete in the 21st century.